Your Go Goodwins Manchester Storm are delighted to announce the club’s annual “Pink the Rink” event! This special event, held each year will be held on Sunday 24th February against visitors, The Sheffield Steelers – 17:30 face-off. Since re-forming in 2015, the club has held a Pink the Rink event each season. 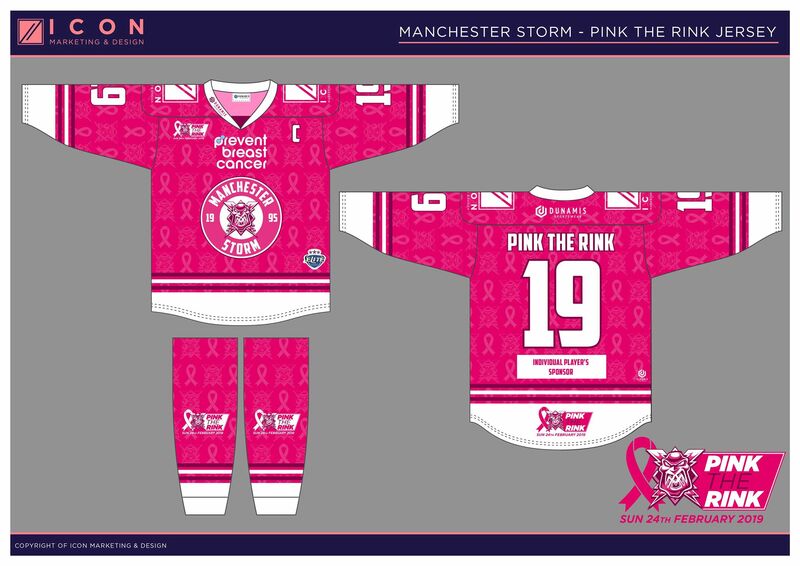 It is tradition that the Storm players wear bright pink special, one of a kind jerseys for this event, and we look forward to showing you the design for this year’s game! Sunday 14th October 2017 was the last time the club hosted Pink the Rink, as part of Cancer Awareness Month. As a club we packed the Storm Shelter, raising money for The Christie – in order to help raise funds and support for the Manchester based centre. 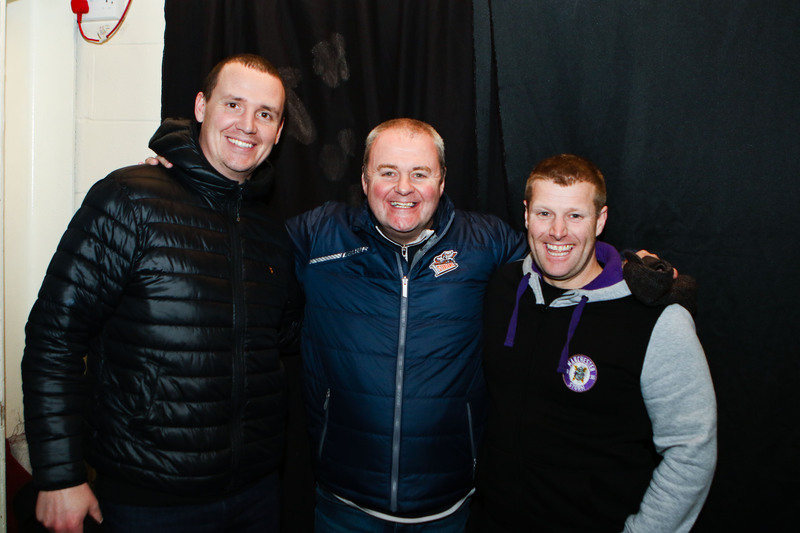 This time around, Storm welcomed visitors – Dundee Stars. Spectators were given an exciting game of hockey to watch, as Storm went from 3-0 down, to beating the Stars in penalty shootout. All funds raised for this walk are in aid of “Prevent Breast Cancer,” the chosen charity of Vicki Thomas, wife of Steelers legend, Mark Thomas – who is presently undergoing treatment of this terrible disease. Simmsey, Elliot Hall, Dean Woolley and Neil Edwards will be joined by Mark Thomas and Manchester Storm’s Managing Director, Jamie Tunstall for the walk that commences at 7am on Saturday 23rd February outside the Fly DSA Arena. They will walk as far as they can by 2.00pm, before returning to the Arena prior to working their home game against Coventry Blaze. Once again we ask for Storm and Steelers fans to assist as the best they can, and help raise awareness of breast cancer. Mark Thomas, now Director of Junior Development at Manchester Storm commented; “Jamie and I are looking forward to the walk from Sheffield to Manchester. We’re really proud to be supporting Prevent Breast Cancer again this year and kicking off “Paint Altrincham Pink Week” once again. Pink The Rink is now an annual event at the Storm shelter and I hope the fans & community really come together for an amazing cause. “My wife Vicki has been going through chemotherapy for the last five months and has been trying to raise awareness since the her diagnosis, that women (especially younger women) should be checking themselves regularly. During the event, the Manchester Storm Academy players alongside Vicki and Mark’s children, will be walking around the rink with a bucket collection. All your donations will go towards Prevent Breast Cancer. 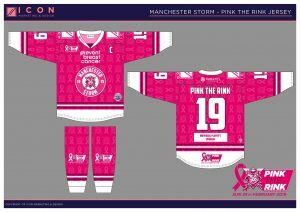 The Manchester Storm players will also be getting involved on the run up to the game and will be busy during the week of Paint Altrincham Pink 2019. Stay tuned for further information nearer the time! On the evening of the game, the Storm players will be wearing the jersey design seen below. These amazing jerseys were designed by ICON Marketing & Design and will be produced by Dunamis. There will also be a one-off, special jersey raffle on the night of the game. 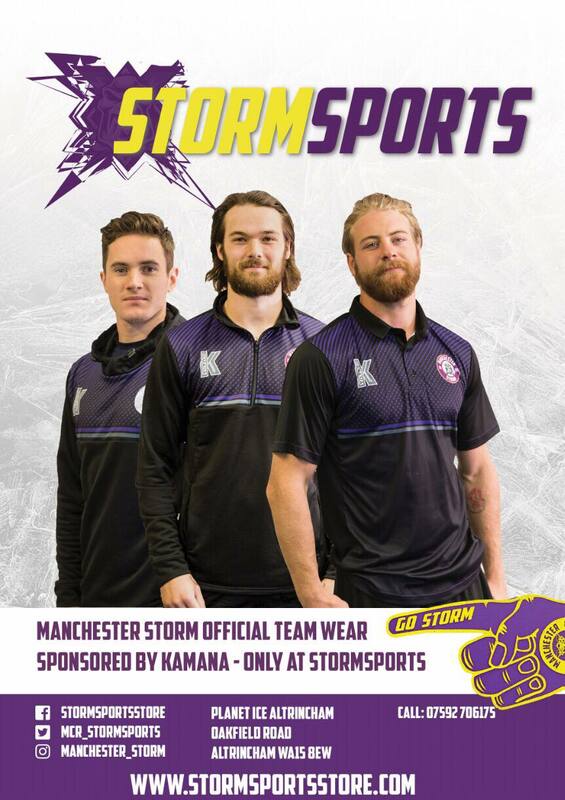 The Storm players game worn jerseys will all be up for grabs, so make sure you take part for a chance to win. The money raised in the jersey raffle will also be going to Prevent Breast Cancer. Stay tuned for more information!